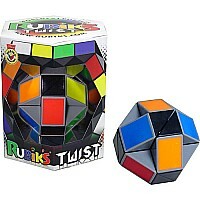 This is the absolute ultimate in the world of Rubik's Puzzles and a must-have for all fans. Everybody loves the 3 x 3 and the 4 x 4, so it only makes sense that we answer the call with the Rubik's 5 x 5! Measures approximately: 6.13 x 5.38 x 6.75 inches..